Supports Brightness, Contrast, Hue and Saturation of Adjustment. Supplied with a Windows application that connects via USB and enables adjustment of the colour, contrast or saturation. Settings from the application are retained when the computer and power are removed. SDI loop through is unaffected by the adjustments to the VGA signal. 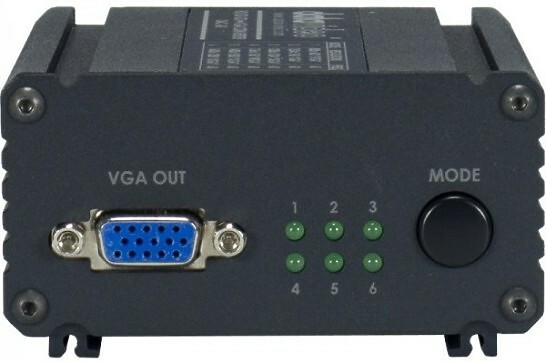 Dual output available (SDI & VGA). SD - 720 x 480 i / 720 x 576 i.
HD - 1280 x 720 50p/60p/59.94p. 3G - 1920 x 1080 50p/60p/59.94p Support 525i & 625i SD D1 format. 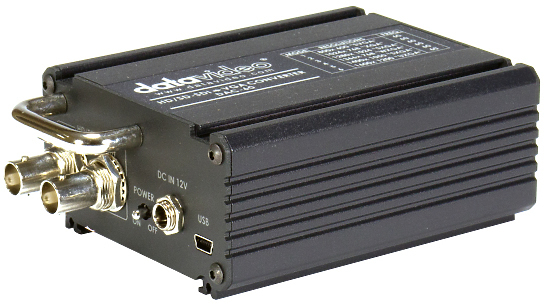 Hire the Datavideo DAC-60 SDI - VGA Converter from Procam. Best service and rental rates for the Datavideo DAC-60 SDI - VGA Converter and all cameras, lenses, sound, lighting and grip.